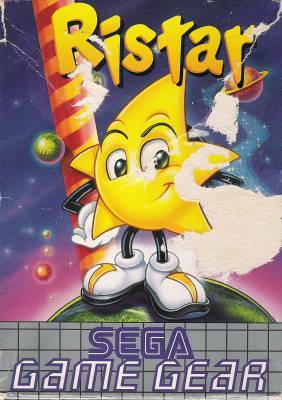 Ristar the Shooting Star (リスター ザ・シューティングスター) / Ristar - Games - SMS Power! The evil King of Despair holds the constellation of Valjee under a reign of terror, spreading misery and darkness. 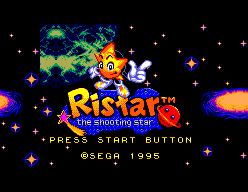 But from the depths of space comes Ristar, a shooting star destined for greatness. Only his special powers and elastic limbs can restore happiness across all 6 levels.